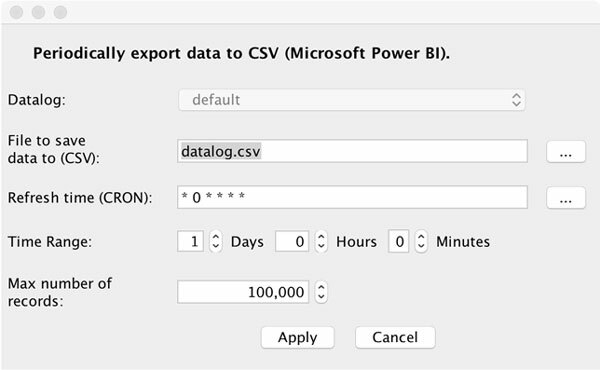 There is a simple way to export data-log historical data into .csv files periodically. You define the export period (or times), and mySCADA will periodically refresh the file with fresh data. The exported file can be easily opened in MS Excel, processed by another program, or even imported into Microsoft Power BI. 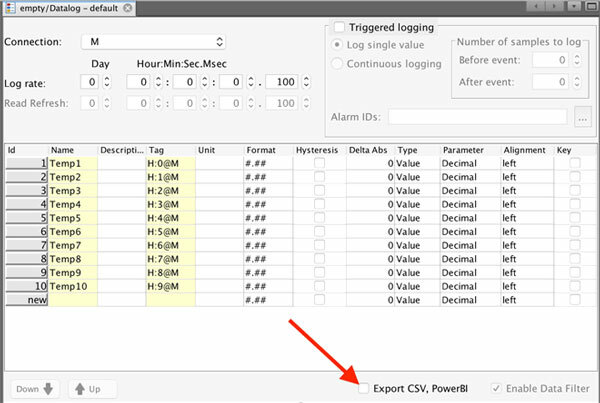 To set up the periodic Export, open your data-log definition file and check the Export to CSV, PowerBI check box. In this dialog, you can set up all required parameters. First of all, you should select a file name for this export. By default, the file will be saved in the user file folder. 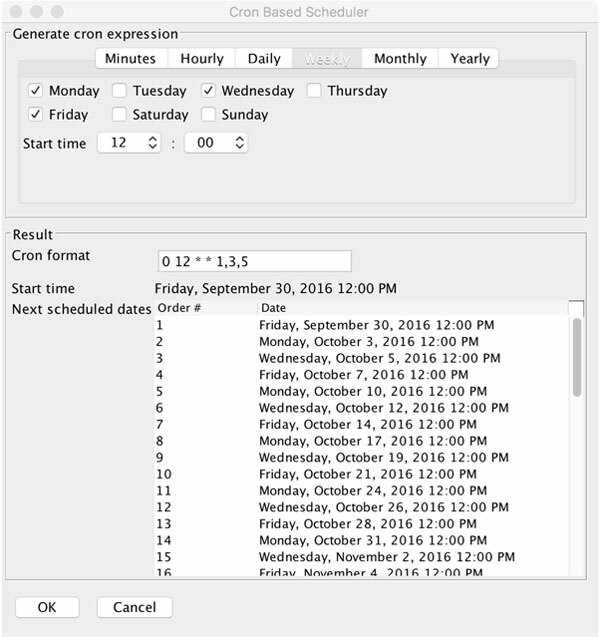 Then you should set the refresh period or times for when to run the export. This is done by pressing the “…” button right next to the Refresh Time text box. Set up the maximum number of records to limit the size of the export file.